Go green and make your investing experience more convenient by viewing the Quarterly Financial Statement/s of your existing BPI Investment Fund account/s in BPI Express Online. By April 2019, your Investments Online account will automatically be enrolled to our eStatement facility, which will replace your printed Quarterly Financial Statement/s starting with your January to March 2019 transactions. What is a Quarterly Financial Statement (QFS)? QFS is a report on the summary of your investments within a certain period (January to March, April to June, July to September and October to December) and provided to you quarterly. It provides information on the fund/s you are invested in, outstanding units, amount invested and its NAVpu, market value, and investment gains/losses. It also contains all transactions made in your account for that period. Do I need to enroll in BPI Express Online? 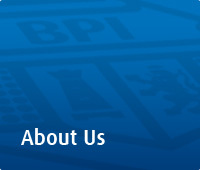 Yes, you need to have a BPI Express Online account. If you are not enrolled, you may create an account by clicking here. Once you have an account, you will need to enroll your BPI Investment Fund account/s by following the step-by-step instructions here. For corporate and joint "and" accounts, you will receive your eStatement via your registered e-mail address upon account opening. To ensure receipt of your eStatement, we encourage you to visit any BPI or BPI Family Savings bank account to update your contact information. Thank you for investing with us!